The ‘Green New Deal’ has inspired lots of conversation in the climate world. Here are a few key points to consider. When the decks seem stacked against a nation – whether it’s extreme weather or soaring asthma rates, dismal job prospects, or plummeting stocks – there may be an opportunity to reshuffle the cards. History offers precedent. “I pledge you, I pledge myself, to a new deal for the American people,” nominee Franklin D. Roosevelt proclaimed during his 1932 acceptance speech to the Democratic convention. Over the following eight years, his administration went on to devise and unleash an array of experimental programs that would pull the country out of the Great Depression. Fast forward roughly 90 years, and the U.S., along with the rest of the world, faces yet another peril: catastrophic climate change. To help reach the global goals of the Paris Climate Agreement, the U.S. needs to aim for zero net emissions sooner rather than later – and really soon – by rapidly retooling a wide range of activity, from the way we produce, transport, and consume food, to how we use energy to light our buildings and power our vehicles and devices. Now, to advance this critical progress, an anxious faction comprised primarily of liberal and progressive interests is rallying for another FDR-style overhaul. Called the “Green New Deal,” it’s a sweeping campaign proposal to strengthen the U.S. economy and produce jobs by accelerating the move from fossil fuels to clean, renewable energy. Like FDR’s simple comments to the convention, the Green New Deal is still very much in the concept-development phase. The devil, they always say, will be in the details, but the deal already is generating serious enthusiasm in some circles. It’s well worth keeping an eye on in the coming months. 1.) New Democratic elected leaders and youth activists sparked much of the current momentum. The term “green new deal” has been volleyed around for years, but recent headlines and an explosion in Google search hits over recent weeks reveal an all-new momentum behind the prospect. This momentum comes in large part from the efforts of its current leading champions: New York’s new Congresswoman Alexandria Ocasio-Cortez and the Sunrise Movement, a youth-led organization that recently staged protests, sit-ins, and other demonstrations in support of the Deal. 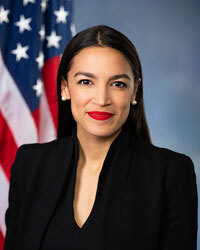 First-term Rep. Alexandria Ocasio-Cortez (D-NY). 2) The Green New Deal is a platform, not a policy. By calling for sweeping reforms that would reach multiple levels of government and industry – from generating 100 percent of the nation’s electricity from clean, renewable sources and upgrading the energy grid, buildings, and transportation infrastructure, to investing in green technology and jobs in the new green economy – the deal would require multiple layers of new policy to be devised and implemented. There is no set policy proposal yet to review, although Representative Ocasio-Cortez has outlined key elements of the plan. 3.) It’s all about the “three Es”: Environment, Economy and Equality. Although climate science, economics, and social justice are often considered separate topics, Green New Deal leaders see close links among them. They point out that many of those most affected by climate change are often victims of economic and/or social injustice, whether as families of color in asthma-prone communities, or coal factory workers left behind by their industry. The Green New Deal as envisioned by Ocasio-Cortez makes it clear that this effort would not tackle just the economy, or energy infrastructure, or communities – it would address all three. 4.) Investment is necessary – and can pay off. New technology, together with growing public will for climate action, makes the aspirations of the Green New Deal achievable and necessary. But it doesn’t make it free. Investment will be needed to encourage growth in the public sector, to advance innovation, and to create incentives on the industry and consumer sides alike. For example, according to Data for Progress’ take on the subject, the Green New Deal’s clean energy goals would require an end to fossil fuel subsidies and phasing-out of coal plants and internal combustion engines. It would instead incentivize the move to zero-emission passenger and light-duty vehicles, and carve out funding for grants in clean energy technology and efficiency. For clean jobs, it would call for leveraging public-private partnerships and federal training grants, specifically extending opportunities to people currently working in fossil fuel-related industries. Although it’s difficult to predict exact costs of such an umbrella of initiatives, some have estimated around 1 to 2 percent of gross domestic product – theoretically then offset by the creation of millions of new jobs. Plus, for those who doubt the value of up-front investment in major economic improvements, proponents counter that deficit spending under FDR’s New Deal was key in bringing the U.S. out of the Great Depression. 5.) Most Americans support the underlying goals of the deal, but politics get in the way. Although Democrats, environmentalists, and political liberals are the primary drivers behind the Green New Deal, conceptually, researchers have found that people generally support the move to a clean energy economy. A recent Yale survey* found that 81 percent of registered voters across the political spectrum supported the broad goals represented in the proposal – when presented free of political context. As public awareness has increased, however, along with coverage of its progressive Democrat roots, the proposal itself is inevitably becoming more politicized. It’s already caused some friction within the Democratic party between senior Democrats and newly elected party members: Those groups often appear united in recognizing a need for strong action, but are divided on how best to achieve it. 6.) This much is certain: Its fate remains unclear. The “blue wave” seen in the 2018 House of Representatives elections helped thrust climate action back into the spotlight, but the Green New Deal itself is given slim prospects for becoming law over the next two years under the Trump administration and the current Republican-controlled Senate. Still, proponents are wasting no time in advancing the platform. Their aim is to hammer-out a more clearly defined plan of action. They hope to ease the way for what they hope will be a successful 2020 presidential election campaign and ground their climate change hopes on winning more seats in the 2020 Senate and House races … and perhaps also a more supportive administration. There is no way to know which, if any, of the Green New Deal aspirations will be enacted into law. But mounting scientific projections of worrisome climate change impacts, backed by increasing observations of those impacts in daily life, reinforce proponents’ convictions that transformative actions are warranted. 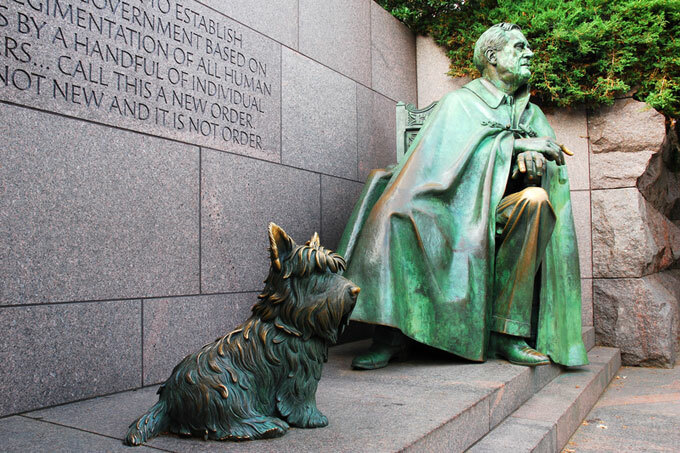 Historically, FDR’s New Deal showed that bold initiatives can work. Looking ahead, it will come down to a matter of public support and political will. *Editor’s note: Yale Climate Connections is a project of the Yale Program on Environmental Communication, which conducted this study. President Franklin D.Roosevelt’s 1932 pledge promised a ‘new deal’ for the American people. Time now for a ‘green new deal’?